We will be gathering in front of Cocoon Tower which is 3 minutes’ walk from Shinjuku-Nishiguchi Station. Departure is scheduled at 7:10; we will go from Shuto Expressway, through Kan- Etsu Expressway and head towards Shinshu- Nakano in about 3 hours. There lunch is served with beef sukiyaki. It is recommended to boil beef and other vegetable in the pot and eat them after dipping in fresh raw egg, which is a common practice for locals. Afterwards we move to Jigokudani Yaen-koen; from parking area a 30 to 40 minutes’ walk on the snowy path is needed. It is a well-paved promenade for less strenuous walking so please enjoy walking while aiming for the destination. 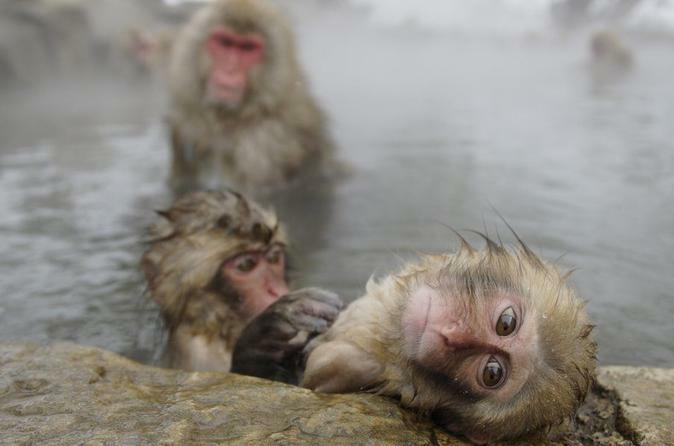 Upon reaching the park, it is time to round off the experience playing with Snow Monkey and also shot your favorite “monkey in hot spring” moment! The same route will be taken back to parking area, and we will return to Shinjuku-Nishiguchi around 19:30.